UC San Diego Moores Cancer Center was elected as the first and only San Diego-based National Comprehensive Cancer Cneter Network Memeber Institution. On March 19, the National Comprehensive Cancer Network® (NCCN®) announced the election of University of California, San Diego Moores Cancer Center as the first and only San Diego-based NCCN Member Institution dedicated to improving the quality, effectiveness, and efficiency of care provided to patients with cancer. 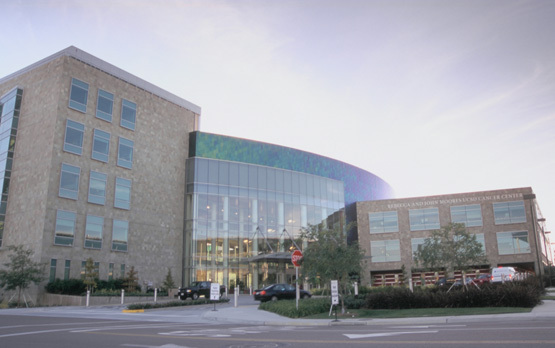 As a NCCN Member Institution, UC San Diego Moores Cancer Center will be part of a national network that develops the NCCN Clinical Practice Guidelines in Oncology (NCCN Guidelines®) used as the standard for clinical policy in oncology, incorporating expert medical judgment and recommendations of multidisciplinary panels from NCCN Member Institutions. Joining 22 other institution members of NCCN, Moores Cancer Center was selected because of its role in transforming cancer care and providing exceptional care to cancer patients. Moores Cancer Center is the only National Cancer Institute (NCI)-designated Comprehensive Cancer Center in the San Diego region. Its multi-disciplinary team approach includes translating the basic scientific discoveries of its research faculty into new treatments for cancer patients in the clinic. The National Comprehensive Cancer Network® (NCCN®), a not-for-profit alliance of 23 of the world’s leading cancer centers, is dedicated to improving the quality, effectiveness, and efficiency of care provided to patients with cancer. Through the leadership and expertise of clinical professionals at NCCN Member Institutions, NCCN develops resources that present valuable information to the numerous stakeholders in the health care delivery system. As the arbiter of high-quality cancer care, NCCN promotes the importance of continuous quality improvement and recognizes the significance of creating clinical practice guidelines appropriate for use by patients, clinicians, and other health care decision-makers. The primary goal of all NCCN initiatives is to improve the quality, effectiveness, and efficiency of oncology practice so patients can live better lives.